We’d love your help. Let us know what’s wrong with this preview of Affinity Rising by D.B. Green. Logan Collins, a troubled teen, moves back to his mysterious hometown to escape his tragic past – a past where his sister was kidnapped, his father was imprisoned, and he was tortured in a sadistic asylum. Logan finds unexpected solace whe This Special Edition of the Meridia Falls Chronicles features an additional 18 new chapters exploring the story from a different POV. 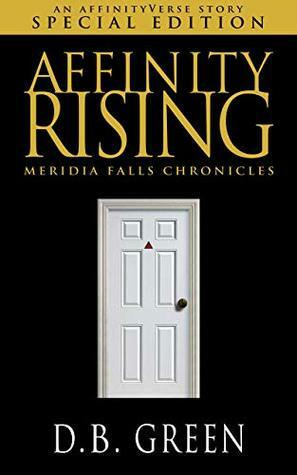 To ask other readers questions about Affinity Rising, please sign up.